The road to the ICC Cricket World Cup 2023 starts next month, as the global qualification phase launches at the ICC World Cricket League Division 5 in South Africa. The road to India 2023 sees fierce competition to progress up the ladder with eight teams representing five regions. Cayman Islands, Germany, Ghana, Guernsey, Jersey, Italy, Qatar and Vanuatu will all take part in the six day competition hosted in Benoni, South Africa. 27 Associate Members battled it out in the 2017 regional qualifiers with one team from each region qualifying to Division 5. Two teams from the tournament will qualify for Division 4 to be played in mid-2018 and five teams will be relegated to the regional divisions. 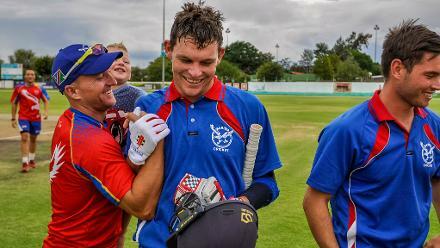 Teams have plenty to play for and it provides them with an opportunity for hard-fought competitive cricket in the 50-over format. Group A comprises of Italy, Guernsey, Cayman Islands and Qatar. While Jersey, Vanuatu, Ghana and Germany will be fighting to secure the top two spots of group B. The top spots from each group will play in the semi-finals, and the bottom two sides will compete for placings.